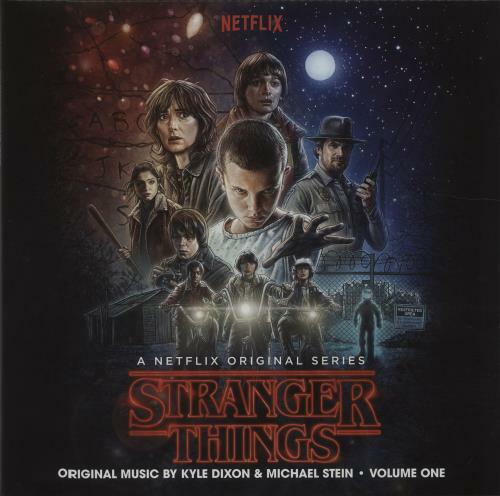 KYLE DIXON & MICHAEL STEIN Stranger Things - Volume One (A Netflix Original Series) (2016 US 36-track Double LP set for the American science fiction-horror web television series created, written, directed and co-executive produced by the Duffer Brothers, this limited-edition set is pressed on Red & Blue Split Vinyl, within a gatefold picture sleeve with picture insert printed with credits on the reverse. 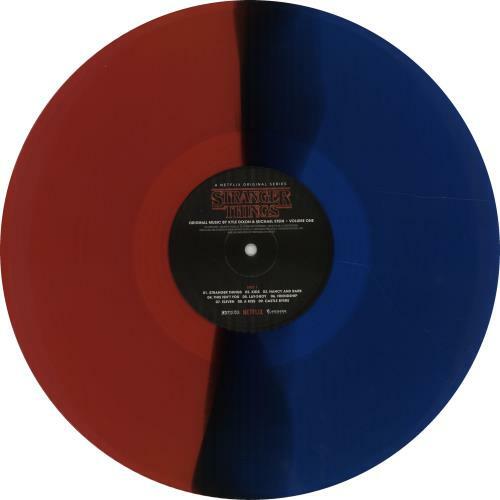 This edition was exclusively available only through the Invada mail order. The sleeve displays only light general wear whilst the vinyl shows little evidence of play INV176LP).